Smoothies are the easiest way to get your daily dose of greens. With an estimated 68% of the population magnesium deficient, we’ve got to make it easier and tastier to get your greens. Magnesium is a key mineral for human metabolism. Without it bones weaken, energy drops, and inflammation can go through the roof. Leafy greens are a primary source of this vital vitamin. So, I’ve long recommended blending up a green smoothie every morning to balance body alkalinity and boost absorbable nutrition. 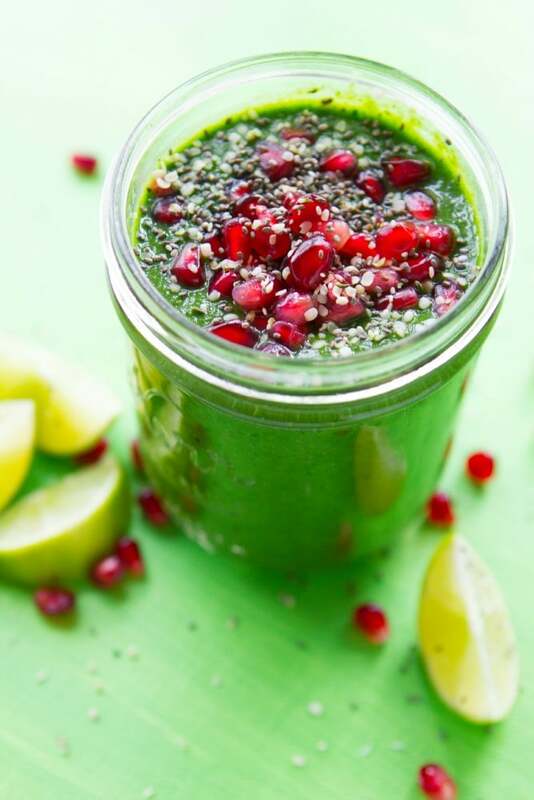 This smoothie takes the idea of Green Smoothies to a whole new level. I call it the “Super Smoothie” because it’s not just packed with those great, leafy greens. It’s also chock full of plant-based protein and energy-boosting natural ingredients. Completely bereft of added sugar, and low in natural sugars, this smoothie is a delicious way to drink back a daily dose of coconut oil, heart-healthy avocado, and electrolyte-replenishing coconut water. It’s nutrient dense and will satiate your hunger for hours. If you’re looking to kickstart an intermittent fast, start with the Super Smoothie and you’ll notice less craving, less aching hunger, and more energy. Try this smoothie after a workout, as a power-packed breakfast, or replace lunch or dinner with it. It’s like a drinkable salad, but tastes like dessert. Enjoy, guys. This smoothie is packed with plant-based protein, tons of greens, and will drive your energy levels through the roof. A natural meal replacement. Perfect for whole-food cleansing. Blend until smooth. Top with pomegranate seeds and chia, if desired.